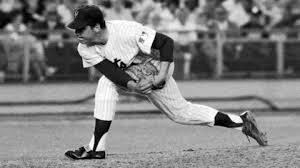 Tom Seaver is warming up, in the solitude of his California vineyard, for his ceremonial first pitch at the Citi Field All-Star Game, and, in the recesses of his mind, for the treasure trove of baseball memories he thought had been erased by the ravages of Lyme disease. The Mets’ “Franchise” wants you to know he’ll be up to the task of delivering that first pitch Tuesday night — the full 60 feet, six inches. But more than that, Seaver wants you to know he’s going to love just being here — being on the field again, taking it all in and, as he might say, being back on the baseball planet. A year ago, on any given day, the mention of the Mets hosting the All-Star Game for the first time since 1964 might have easily drawn a blank look on Seaver’s face. Forget about not registering places and events, Seaver had trouble remembering names and faces of people he had known for years. Even scarier was the fact that he didn’t know why — until finally, about six months ago, he went to see a doctor who, after administering a series of tests and scans, determined he did not have dementia, as Seaver had feared, but rather was suffering from Stage 3 Lyme disease. Seaver had first contracted Lyme disease in 1991, working in his garden in Greenwich, Conn., where he lived at the time. For nearly 20 years it lay dormant in his body until gradually reoccurring in the form of memory loss, a sleep disorder, nausea and a general overall feeling of chemical imbalance. It has been a slow but steady road back — Seaver still takes a bunch of pills, most of them vitamins, every day, has changed his diet and no longer drinks his beloved wine, not even the highly rated Cabernet he produces in his GTS (for George Thomas Seaver) Vineyard — but Seaver, who was grateful a few months ago for feeling good for two to three straight days, now has mostly good days. The other day, when I caught up with him by phone in his vineyard atop Diamond Mountain in Calistoga, was definitely one of them. ~ by Rob on July 12, 2013. This gives me such hope and is wonderful for him! Thank you.